Is the Eye of Horus an Evil Illuminati Symbol? “The Eye of Horus is an ancient Egyptian symbol of wisdom and enlightenment. 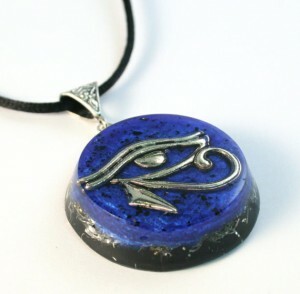 While certain ill-meaning groups may have appropriated the symbol for their own purposes, the third eye or all-seeing eye has been used in many cultures worldwide. So in my opinion, it’s a powerfully spiritual symbol that absolutely has a place in healing. As for the pyramids, it’s a similar thing. Ancient pyramids are found all over the world since their shape is conducive to channeling energy.